As you may know, we aim to provide interesting feature content on a daily basis here at Nintendo Life, whether through interviews, Soapboxes, Talking Points or more general articles like this that have a catch-all 'Feature' prefix. It's been challenging at Nintendo Life HQ, though, because the weather's hot enough to fry an egg on a car roof. Our brains are frazzled, and in the case of this writer his poor, pasty skin is in a continual battle with the burning, flaming ball in the sky. Of course, Summer is a lovely time of year, and we shouldn't only focus on the woes of attempting to work in the heat. It's the time of water fights, trips to the beach, barbecues and outdoor sports. Activities like that only fill so many hours of the day, though, and there are still opportunities to kick back and play some games. In celebration of the Summer — for those of you in the southern hemisphere it's winter, of course — we thought we'd kick off a little series of features highlighting some of the best games for this particular season. The criteria is simple: we're looking for excellent games that are either thematically appropriate or, alternatively, are perfect for short sessions of gaming on downtime from healthy outdoor pursuits. In this first issue we're listing four retail games and something a bit retro for each system, and in future we plan to produce a list of some of your suggestions and, possibly, an eShop-only list. So, below are a handful of games we think perfectly suit some gaming time on a hot, glorious summer's day. 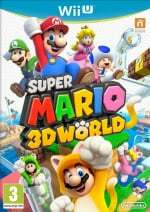 Not only is Mario's latest 3D platforming adventure an outstanding game, but it's ideally suited to play sessions both short and long. With a typical level only lasting a few minutes, you can settle down to play through multiple worlds or simply dash through a few levels. It also has delicious, colourful visuals and fun multiplayer to keep a room full of people entertained. This is the hottest game on Wii U at present, and is likely to play a prominent role in summer gaming for many. It ticks almost every box handsomely — though that Battle Mode will continue to divide gamers — and is an outstanding effort from Nintendo. Fun in local multiplayer, naturally, this also has a sizeable online community to ensure that you'll always find a race. A title that truly embodies summer, as you collect fruit and explore some gorgeous environments, with flowers, rivers and more besides scattered around. With DLC content and stylus controls now thrown in, the summer months provide the perfect opportunity to catch up with what remains to be a terrific retail game on Wii U. You can play out multiple days in a sitting or take it literally and dip in for one day at a time over the coming weeks. This Platinum Games exclusive struggled at retail, which is a desperately unfortunate scenario. Perhaps drowned by a rather inaccurate reputation of being overly difficult and inaccessible — it has a very easy mode, for reference — it failed to catch on. If real-time action/strategy, with the emphasis on action, sounds fun to you, then this is a must have. Stylish visuals full of vibrant colour, heaps of content and wacky humour, this is a gem; mission typically take between 30-60 minutes, so one a day should keep the blues away. Every season of the year needs an adventure, and this SNES classic fits the bill. It's now a little over a year since it arrived on the Virtual Console, and for those yet to dive in now is arguably the perfect time. As per the final entry in the Wii U category, this fits the bill as an adventure to tackle over the next month or so. This entry saw Eiji Aonuma and his team deliver some fresh ideas in structure, allowing you to determine your own path — to a degree — through the title. It's, in our view, up there with the very best Zelda titles, and a must for all 3DS gamers. The slightly bizarre and wacky Mii-sim has found some sales success since its arrival in the West, with its madcap events on a sunny island seeming somewhat appropriate for the season. This is absolutely ideal for short play sessions, too; we suspect some are still gathering bells in Animal Crossing: New Leaf, meanwhile, an altogether different experience equally suited to short, daily bursts of play. Mario played some tennis on 3DS first, but of his sporting appearances on the portable this is the standout. With ongoing online tournaments, excellent Community options and a variety of courses and challenges for single or local multiplayer, this offers a lot. It helps that it's a terrifically balanced, fun representation of whimsical Mushroom Kingdom golf, and a full round can easily be cleared in 30 minutes. If you're looking for some intense action from your game time, then Masahiro Sakurai's brilliant title should scratch that itch. The controls will forever be divisive, but we're in the camp that supports them; they need some practice before they click. Whether jumping in new or revisiting this one, a sliding difficulty scale accommodates anyone, while short and entertaining levels are perfect for a quick burst of intense gaming. Still one of the top titles on the 3DS. For our slice of retro goodness on 3DS, we're opting for the fantastic 3D Sega released from M2. They all have their charms, though for this list we let nostalgia take over with the Mega Drive / Genesis game that helped define the 16-bit era on the Sega side of the fence. You can go from start to finish in about an hour, which is well worth doing. So there you go, ten games we think suit the summer nicely. Let us know what Wii U and 3DS titles you think best suit the season in the comments below, and we'll pick some suggestions for a follow-up feature. You can also choose from these options in the poll, too, so let us know what you think. ... except in practice I'm playing more Endless Ocean 2 on Wii than anything else - I can imagine swimming in the polar regions while in reality I'm just about drowning in my own sweat. A few of the 3DS titles listed are in that best buy B1G1 sale this week too. Just got Tomodachi myself...that game is weird but in a great way. My favorite Wii game to play in the summer is Mario Super Sluggers, and favorite 3DS game to play in the summer is Tomodachi Life. 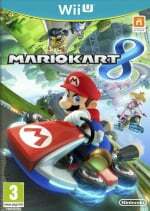 My favorite Wii U game to play in the summer is Mario Kart 8. Mario Kart 8, and ALBW. Perfect here. I play an hour or 2 of WW HD every day, it's all fun in the sun (well except for the never ending rainy nights). Seems like the perfect summer vacation game. Mario Kart 8 and Kid Icarus: Uprising. Two fantastic games! IMO the best game to play in the summer is Pikmin 3 and followed very closely by Assassin's Creed Black Flag. Fruits and the open Caribbean Seas is all you need dawgs. For the next few days' I'll be playing Gears of War 1 and Doom XBLA. Earthbound on Wii U. Maybe some Dragon Quest V too, since all summers need a JRPG. Mario Kart 8 & Kid Icarus: Uprising. Totally! Though if you want a more casual holiday, Mario Golf: World Tour is good too. Shovel Knight and Gucamelee have also been absolutely fantastic Wii U games to play for the summer! And there's nothing quite like a cool summer night with online Mario Kart! So since you brought it up, what would you recommend for those of us wearing 2 pairs of socks below the equator? No 'other' option for either poll? Cause while I can definitely recommend W101 (and Donkey Conk Country Tropical Freeze for that cool summer feeling ^_^), your 3DS selection is... meh. I would easily recommend Senran Kagura, but playing Frantic Mode only (bikini season YAY!!!)! I'd rather play the superior Sonic and All-Stars Racing Transformed to Mario Kart, but an online racing game is always a good pick. I'm more towards playing Smash Bros for Summer. Good list of games! Mario Kart 8 and Super Mario 3D World will keep lots busy. Zelda Link Between Worlds will as well. @Pahvi Never played the Endless Ocean games but they've looked interesting. How are they? Surprised to not see Wind Waker HD on that list, as it DOES have an entire ocean to explore, and feels very summer-y. @SphericalCrusher: The first one is less a game than a petting aquarium, whereas the second adds various game mechanics to it (leveling up diving and salvaging skills), limited air tank capacity, actually aggressive wildlife that need to be fended off. Even worse, I can't choose which song to listen to in the sequel. I kind of miss the relaxing atmosphere of the first game. I have played the sequel for only about 6 hours, so I don't have a solid opinion on it yet. For Wii U, I went with EarthBound. Summer is the perfect time for adventures, and that's what EarthBound delivers. Of course, that also might be biased because one of my Summer goals is to finally finish it. For 3DS, I went with Link Between Worlds. I haven't played any of the listed games, but like I said earlier, Summer is the best time for adventures! So Wii Sports Club and Wii Fit U aren't "perfect for summer"
I kinda see Zelda ALBW as a fall season game. Wonderful 101 is a fun game, but issues with the unite power at critical times got it put on the back-burner. Pushmo World perfectly captures that laid back and relax feel of summer, Super Mario 3D World or Mario Kart 8 captures the playing with friends outside, and Earthbound nails the kids on an summer adventure feeling. Mario Kart 8, Tomodachi Life, Professor Layton & the Azran Legacy and Animal Crossing are my summer games. I restarted my New Leaf file. I spend my vacation on Wuhu island in Wii Sports Resort. @this moment i don't have much patience with gaming. I guess i'm done for a moment. Anyone else like that now? What this summer needs is a Nintendo Direct already. Incidentally, I just finished the fantastic Guacamelee, which should be a pretty good source of latin heat to go with the summer (or winter, for those of us in the Southern Hemisphere). The Wonderful 101 is a gem that should have sold much better. All hail Platinum Games! 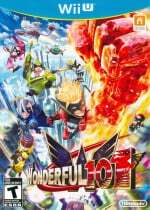 Some of the best games of the last generation are theirs and one of the new one, yes, The Wonderful 101 is among the best games on One, ps4 and WiiU. earthbound is actually a great thanksgiving/christmas time game as well. Mario Kart 8 is not that special. It doesn't deserve to be winning this poll. 4 games I'm playing this summer(right now)...mk8, shovel knight, Loz oot 3ds, hearthstone. Pikmin 3 is THE perfect summer game. I got it last summer when it launched (think it was August 4), and I can't explain it but yeah, it's like that game was built with summer in mind. Sit back, relax, grab a Wiimote, and hunt for some fruit! And while you're at it, kill some Bulborbs and Skitterlings on the way! Picked the two #1s lol. Plenty of games to go around though and more coming next year! Mario Kart 8 may be the people's choice, but each summer I always go back to Wave Race 64 and Wave Race Blue Storm. At the moment I'm hammering Xenoblade Chronicles so I can get it finished before the usual Xmas rush of games on all formats and a launch date for Xenoblade Chronicles X is announced. I think animal crossing new leaf deserves a spot in that list! I'm loving Mario Kart 8 right now. Summer? No, Mario Kart 8 is great for ALL seasons! Oh, and Wii Sports Club should've been here. It's probably not the right site, but you guys are so kind... Has somebody still left a Destiny beta code for Xbone? I'm playing Dragon quest 9 and I just beat it today, of course there are grottos and a luminary job, but I am done , been there done that. Mario kart 8 is the best in every way for the summer but I need a new RPG this summer. I'm playing ds games for Christ sake. I could rant about how the west still did not get Dragon quest 7 or 10 , but I won't maybe i should play? shoot I don't have a game. I mean I could replay an old one cuz nothing is out but now I don't know what to play. I could rant about virtual Console ,but I won't. I have beaten most of those games on that list and the others I am not interested in. I'm feigning for a game. Blahk, I just boot it dragon quest 6 up and the graphics are what ever after playing DQ9. Darn. Now I'm suffering from DQ fatigue. I've got to get over it. Maybe I could hook up that vampire class in bravery defaults. Nah. @Pahvi Finally I have found another person that owns Endless Ocean 2. It is my most played game of all time excluding Mario Kart and Smash Bros at 512 hours. I love it. @Supervideoman22 Mine too! Who complains about the voice-acting, though? It's great. Really, if you are in a place where there are all 4 seasons (you know, covered in snow in the winter) or where part of the year is just torrential rain for months... go outside, instead. My next title will be Divinity: Original Sin. It's not a gaming Summer without an RPG to work through it! For this list, though, I chose Earthbound and Kid Icarus: Uprising. Earthbound has a city named Summers, and Kid Icarus offers a lot of hot-blooded action, especially the PvP! Bravely Default should be on the list for 3DS. One of the best RPGs I've played in a long time. Am i the only one who doesn't classify games in seasons? i play games and i don't care if its summer or winter, i just... play what i feel like, am i weird for that? @PlywoodStick Hey.. do you know why old screens like that of the GBC look great on sun light and 3DS's don't? can't they make a portable that looks good in sunlight AND dark? being active? ain't nobody got time for that! @Mega719 people these days(mostly) are SO lazy, they wont even get up to by moar games! @RainbowGazelle Play Sonic Transformed on the PC version: you always find people online and on weakend and at weekday night, it is almost always full. The best Wii U game I recently found was Pikmin 3 - so strategic and exploring the Pikmin world is so much fun. The gameplay really makes you feel that you are abandoned in an unknown world with interesting things to explore. The multitasking requirement of this game makes it a vast improvement above the previous two entries in the series. Played Pikmin 3 through once, love it, and gonna play it again to get the best time. I recently also played Pikmin 1 and 2. 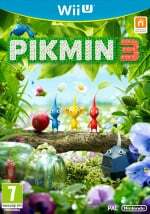 Love Pikmin 1 but do not prefer the combat-oriented nature of Pikmin 2. Pikmin 2 has some outrageously hard bosses that will decimate your entire team within a second (machine gun boss? ), if you do not practise fighting them. Any Mario Party and Mario Kart game tends to be my summer go-to since that's what my friends play when we all get together. Sometimes SSB, but I tend to only be able to handle a few matches before I drop out. Surprisingly, TMNT 4: Turtles in Time tends to be a repeat trek for us nearly every year as well. If I had time I'd like to replay Kid Icarus Uprising and Fire Emblem Awakening. Lately though I've been busting out Brawl and Mario Kart 8 for a few rounds. @ Smooty I reckon thats normal. I also play whatever, whenever. I vote for Fantasy Life! I know it is not out for a few months but then again, it's not summer time in Australia for a few months either. @TICGS And I still wouldn't have it if it weren't for three friends of mine who gave it to me as a surprise gift (I got it last week). I don't think I have appreciated them enough. Well, I keep my balcony door open while playing MK8 so it's almost like I'm outside. Honestly, it's too hot right now to do any outdoor activities. @TICGS I've clocked close to 2000hrs on EO and EO2 combined...simply awesome, they are. Next list better include some Fluidity / Hydroventure, Ghost Recon: Shadow Wars and Kickle Cubicle or i'll lose my last remaining faith in mankind. Summer is time of jrpg's. Personally playing FFVII. Summer is all about Mario Kart and 8 and older games for me this year, so Earthbound and 3D Sonic fit the bill. Dunno about you guys, but I actually have been playing EarthBound over this Summer. And Assassin's Creed IV. Weird that Donkey Kong Country Returns 3D wasn't mentioned. That's a pretty Summery game, and one that I'm playing as a result of my Platinum reward. @Pahvi do you think this is better then the first one? And Mario Kart 8 for Wii U.
Hmm. I was playing Monster Hunter 3 Ultimate on 3DS long every single day throughout my summer vacation! That is the Ultimate summer game for me atleast! Clocked 200 hours I guess. @rbmoura85: I say EO2 larger and different. I think @andrea987 would be a better person to answer which is better - if they can be put in order at all. I'm currently playing Super Mario Galaxy now, since I never had a Wii, I figure it's a good time to catch up on the Wii classics! Also Zelda 2 from the elite rewards. I rarely play my 3DS now, mostly just some Pokemon and Crosswords occasionally. I picked Mario Kart 8, but DKC Tropical Freeze is the best Wii U summer-type game. @GreatPlayer My brother got Pikmin 3, and I watched him play all of it. It was pretty awesome. Super Mario 3D World is good for any season. Even if you already beat it before. I feel like the polls are more orientated toward "Which one is your favorite" over "Which one is perfect for Summer." Tomodachi Life is the best game to play if you have a vacation or to spend a nice Summer. I can only imagine Link Between Worlds as the game that one plays from time to time whenever one is in the mood. @Sportsfan1712 I love your avatar man! Honestly ALBW has passed. MK8 IS IN. @Beetlejuice Are you still waiting?